Getting a tattoo may seem like a great idea in the heat of the moment, but it often becomes a source of regret over time. For men and women in Somers Point, New Jersey, our team at Shore Vascular & Vein Center, under the leadership of Dr. Jeffrey Gosin, offers state-of-the-art laser treatment for tattoo removal. And, thanks to his advanced methods, having laser tattoo removal has never been easier. Dr. Gosin can provide optimal results in less time than other standard tattoo removal treatments. Our team relies on the innovative Enlighten® III technology for tattoo removal, but your body actually removes the pigment from your system. Over time, you may notice your tattoo begin to fade. This is because your body slowly absorbs the tattoo pigment, and your immune system flushes it from your system. To remove your tattoo, we use the Enlighten aesthetic system to deliver dual wavelengths of energy to break up your tattoo pigment. By breaking the pigment into smaller particles, your body can absorb it faster and flush it from your system more easily. The Enlighten laser comes with multiple pulse settings, so it’s one of the most effective systems available at removing all types of tattoos without harming your surrounding skin. 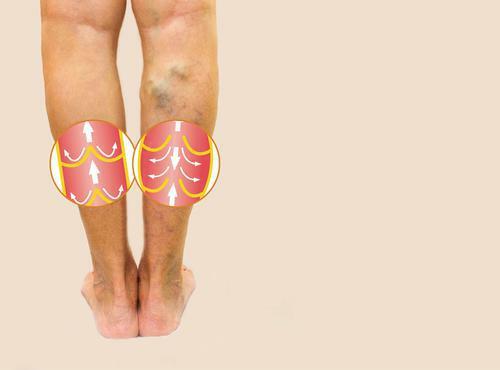 This approach isn’t painful but can be similar to a rubber band snapping against your skin. To make sure you’re comfortable during your treatment, we usually apply a topical anesthetic before using the laser. Your overall health also plays a role in how quickly your immune system can remove pigment from your body. When you come to Shore Vascular & Vein Center for laser tattoo removal, you can expect short and easy appointments. During your treatment, you wear special eye protection to avoid contact with Enlighten’s high-powered wavelengths of energy. Most sessions take 15-30 minutes, depending on your tattoo. In most cases, it can take 3-10 Enlighten treatments for us to remove most tattoos. 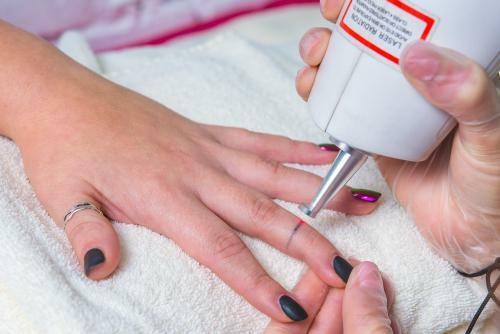 When you’re having a series of tattoo laser removal treatments, we usually schedule your appointments several weeks apart so your body has time to heal between sessions and absorb broken-up tattoo pigment. If you’re living with a tattoo you regret, call us at Shore Vascular & Vein Center or schedule a consultation online today.